I am going to try something new and have three separate Works in process threads. The old on will stay open but these are for specific types of works. This thread is to display and comment on the various Weapons Works in Process. 8. Do not post one word messages or messages like "what he said" or "yea" or any message that does not contribute to the topic at hand. If you cannot contribute to the discussion remain silent. Why don't you sticky these threads dennis? I don't want to suggest ideas from other games, but if you made the origins like this http://godsofdeath.net/gallery/albums/userpics/Starwarrock2.jpg , it would look awesome. Halo 2 battle rifle, custom made. The scope looks to smooth, and the indented triangles look to deep. other than that its pretty decent. well the scope is supposed to be very smooth, or else it will look like crap ingame. Ill fix the triangles though, id say for a first time its decent aswell. There are only two minor errors circled in red. They will be fixed when compiled though. What is that? Here is a pistol I worked on today. Needs to get a trigger and finished with details. It'll make sense eventually. 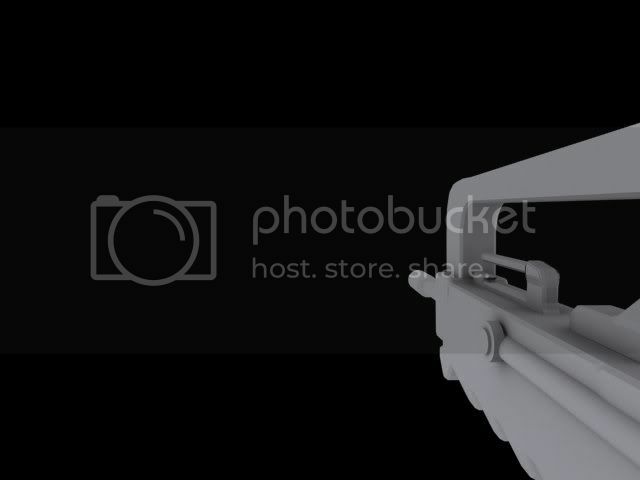 Nice base model for the pistol. Thank you. Now does anyone know how to make the weapon less boxy and more curved like? And also, did I mess up the sights? Newbkilla, try using the mesh-smooth modifier to make it less boxy. Oh god no, do not do that. that will destroy your model. I know.. lol.. Lets just say I've messed with that before :S.
Use smoothing groups, but not too much. You need to do more than just get the basic outline of the gun. pay attention to shape and variation on the Horizontal axises. 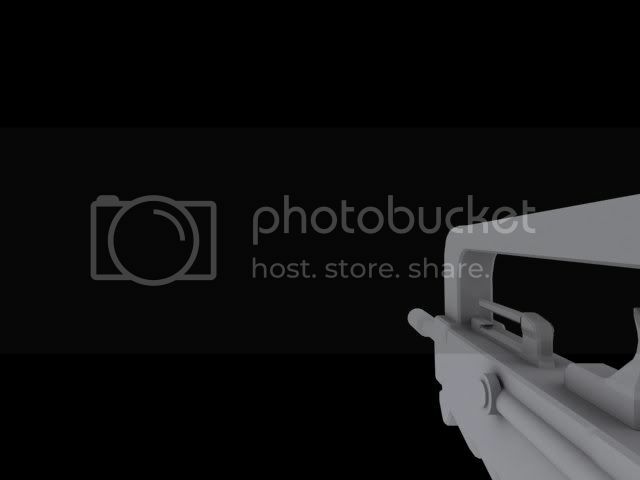 Right now you just have a box in the shape of a gun, make it look like the actual gun. 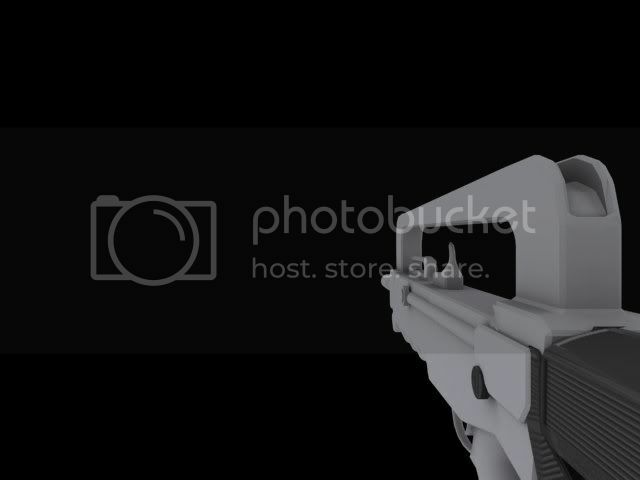 The whole side of the gun is just a flat plane, look at more reference pictures besides just a side view and you'll see that theres more to the gun than just the basic shape. I"m no expert on weapons but i know that the gun should at least have a slide. And this may be a bit off-topic but he said he needed to add a trigger, and you don't add a trigger to weapons. There's got to be some more. Try looking at some other pistols with similar attributes, or look at some pistols and compile your favorite characteristics into one virtual pistol. And triggers are needed (by my standpoint) The gun isn't finished without one. And i will try to look at other gun references. 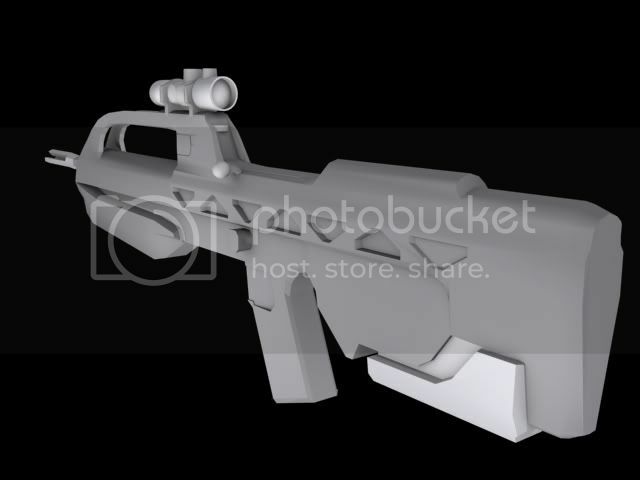 very nice halo 3 sniper rifle. 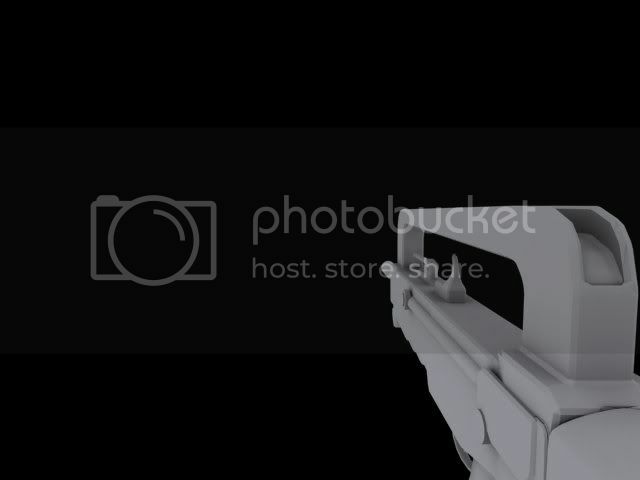 also wats with that W on the gun all the way on the right of the pic? The front of it looks more like it would be a flamethrower to me. It looks cool though. Dark, I would highly suggest working on the design a little bit more before you call it done. The idea is good but areas such as right in front of the handle could use some serious work. *sigh* IT IS A FREAKING W.I.P. AND I FIXED THOSE ERRORS. Read the semi-official WIP thread for more details regarding it. He is only trying to help there is no reason you should yell at him. Anyway show the updated model. Time: Thu April 25, 2019 3:06 AM 1,688 ms.